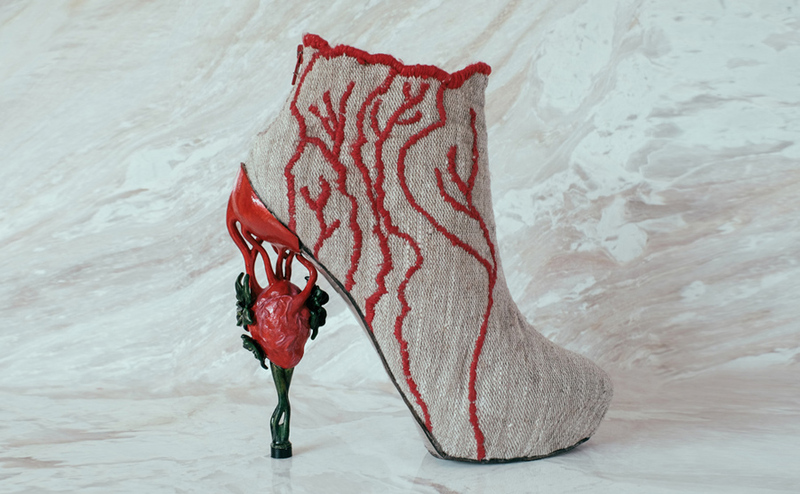 The creations of Montreal-based shoe designer Anastasia Radevich is a shoe designer with a passion. She seem to answer that question quite effortlessly through unconventional pieces of footwear that combine symbolism with the uncompromising power of natural shapes and textures. 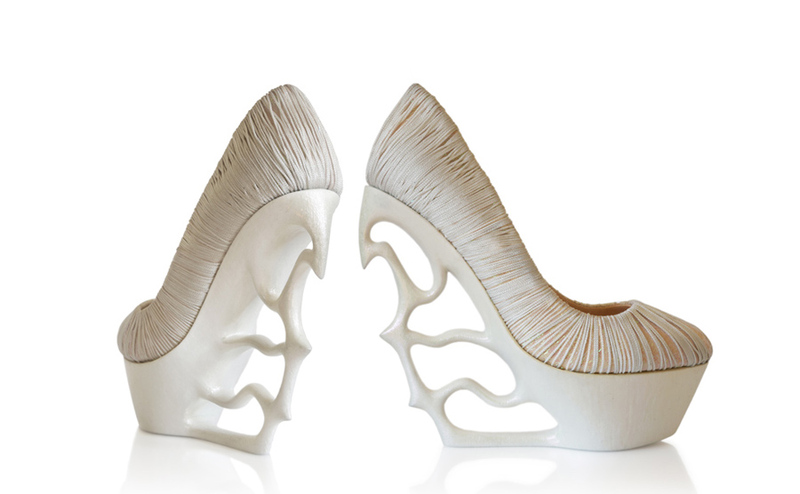 In her “Kinetik” collection for example, she used fibre optics to light up the shoes, while in her most recent “Alchemy” collection, the shoes merge into the realistic forms of fossils and horns. Take a look! And don’t forget to check our list of the most expensive shoes ever.